MBLWHOI Library » Michael Mizell Public History Lecture: Was Lysenko Right after All? Michael Mizell Public History Lecture: Was Lysenko Right after All? Lecture by Loren R. Graham, Professor Emeritus of the History of Science in the Program in Science, Technology and Society at the Massachusetts Institute of Technology. He received his Ph.D. from Columbia University, and a Doctor of Letters (honoris causa) from Purdue University in 1986. Professor Graham specializes in the history of science and the study of contemporary science and technology in Russia. The Michael Mizell Public History Lecture is held in memory of Michael Mizell-Nelson, associate professor of history at the University of New Orleans. Professor Mizell was a leader in the application of digital technologies to study public history. His projects included the Hurricane Digital Memory Bank, “Streetcar Stories," the histories of the New Orleans streetcar system, the po-boy sandwich, and the Russian cake. 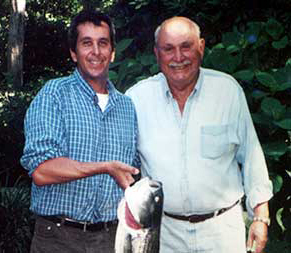 Professor Mizell, son of long-time MBL scientist Merle Mizell, died of cancer in 2014. At the time of his passing he had begun collaboration with the History of MBL Project on the history of the leper colony on nearby Penikese Island and its connection to the federal leper hospital in Carville, Louisiana. The doctrine of the Inheritance of Acquired Characteristics is a very old one, dating back to Hippocrates and Aristotle. This viewpoint, often later called Lamarckism, fell out of favor among many biologists in the late nineteenth and early twentieth centuries, under assault by such scientists as August Weismann, William Bateson, and Thomas Hunt Morgan. However, in some countries, including Russia, it remained popular. In 1923 the famous Russian physiologist Ivan Pavlov came to Woods Hole and gave a speech in which he defended the Inheritance of Acquired Characteristics. Thomas Hunt Morgan was in the audience and sharply disagreed with Pavlov. 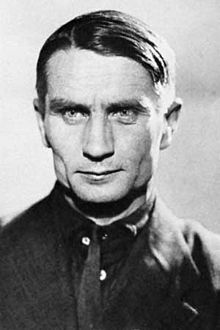 In later years in Russia the notorious agronomist Trofim Lysenko also supported the Inheritance of Acquired Characteristics. Now, with the rise of epigenetics, we have learned that in some instances acquired characteristics can be inherited. Furthermore, there is at the present time a resurgence of Lysenkoism in Russia based, In part, on epigenetics. Does that mean that Lysenko was right after all?